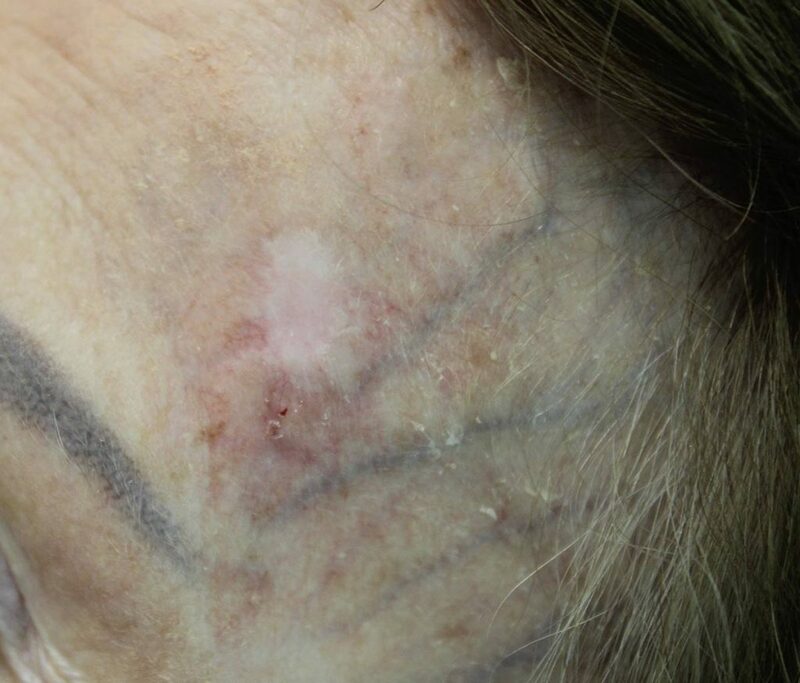 The only way to diagnose any type of skin cancer, including basal cell carcinoma (BCC), is with a skin biopsy. Dr. Jochen can perform this procedure during an office visit. Excision: This is a surgical procedure that your dermatologist often can perform during an office visit. It involves numbing the area to be treated and cutting out any remaining tumor plus some normal-looking skin around the tumor.Like the skin biopsy, this removed skin is examined under the microscope. This may be done at a laboratory or by your dermatologist. The doctor who looks at the removed skin needs to see whether the normal-looking skin is free of cancer cells. If not, more skin will need to be removed. This is a common way to treat BCC. Mohs surgery: Named for the doctor who developed this surgery, Mohs (pronounced “moes”) is a specialized surgery used to remove some skin cancers. It offers the highest cure rate for difficult-to-treat basal cell cancers. Dr. Jochen is an expert in Mohs surgery and can tell you if Mohs is right for you. If Mohs is recommended, this is what you can expect. The surgeon will cut out the tumor plus a very small amount of normal-looking skin surrounding the tumor. While the patient waits, the Mohs surgeon uses a microscope to look at what was removed. The surgeon is looking for cancer cells. If necessary, during the Mohs surgery, the surgeon will continue to remove a very small amount of skin and look at it under the microscope. This continues until the surgeon no longer sees cancer cells. Medicated creams: Creams that contain a drug, such as imiquimod or 5-fluorouracil, can be used to treat early BCC. Use as directed by our dermatologist. Nearly every basal cell cancer can be cured, especially when the cancer is found early and treated. Be sure to perform regular skin self-exams. We can show you how to examine your skin for signs of skin cancer. Be sure you perform a monthly self-examination, you will be looking for changes in the shape or size of spots or moles and other irregularities. Use the ABCDE’s of skin cancer to help with your skin check. Call us at 760-423-4000, if you have any questions or find an irregular spot, mole, or other skin irregularity.